One of the big benefits of keeping your technology current is that routine tasks get a LOT easier. One prime example is adding a printer. If you're bringing in a laptop from home and you need to print in your office, or if you've just bought a new printer, getting ready to print in Windows 7 is easy. 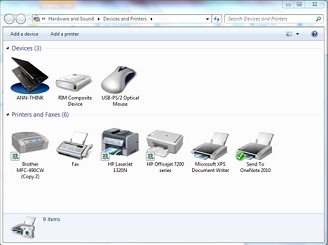 To add a printer, hit the "Start" button on your system (windows logo in the lower left hand corner of your screen), and select "Devices and Printers". From there, select "Add a Printer". 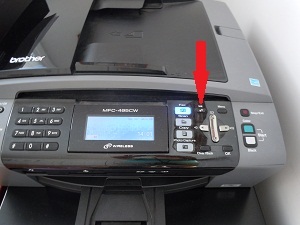 You'll have two options: (1) Select a Local Printer - this would be for a non-USB printer connected directly to your system. Windows automatically installs USB printers when you plug them in! (2) Add a network, wireless, or BlueTooth printer. This would be the standard configuration working in an office environment. Its just a few more mouse clicks to install the printer. You'll see a list of available printers on the network, and when you select the one you want, Windows will find the driver for you. The "driver" is the software that tells your computer how to print to a specific printer. In Windows 7, you'll see that installing a printer is a quick task, and you'll be thankful that your technology is up to date (or the task would take a lot longer).